Well the Brazilian GP has just finished. 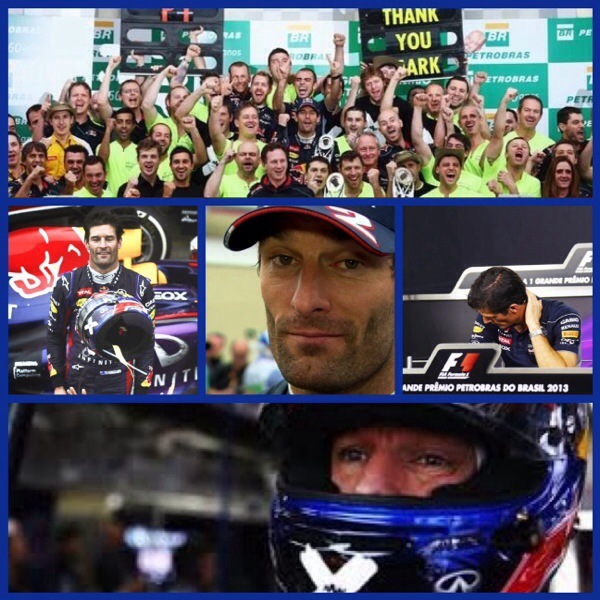 My man Mark Webber finished in second place in his last ever Grand Prix. I screamed and shouted when Red Bull were doing Vettel’s pit stop as it was a slow stop. But it didn’t work well for Webber as they had double stacked Webber and Vettel. But in the end Webber just couldn’t catch up with Vettel. At least he got a podium and I may have cried a tear or two for him! There were some nice moments today though. At the start of the race Alonso gave Webber a big hug and on the victory lap Webber took off his helmet (probably a penalty but who cares!) and he looked pretty emotional! 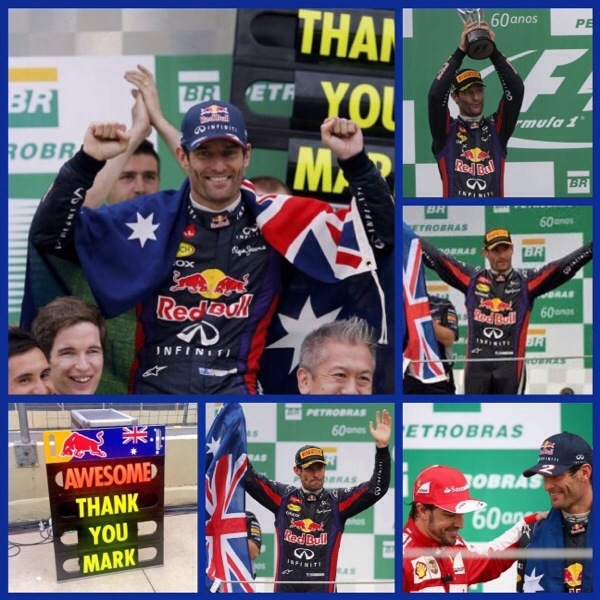 And Alonso came In third so at least Webber had a best mate on the podium with him. Here’s some of my favourite photos of the day. There’s one moment that I saw on the tv coverage that no one seems to have a photo of and that was at the start of the race Alonso went over to Webber to give him a hug. It was beautiful!